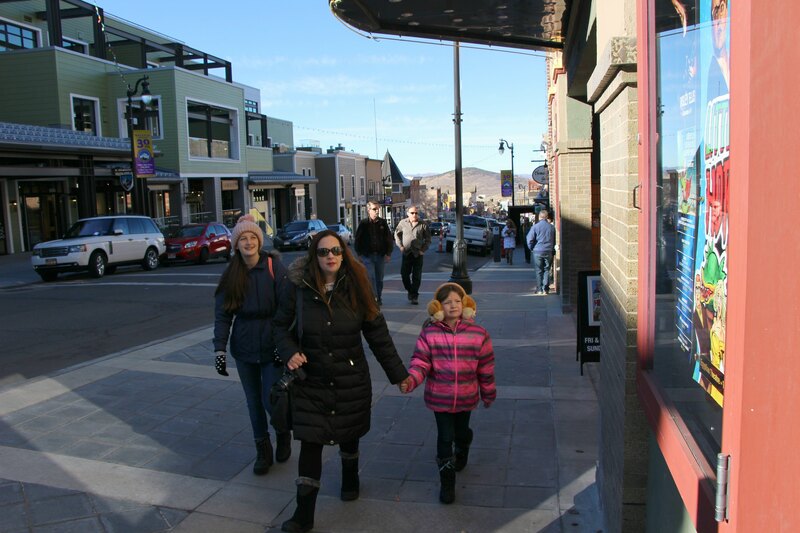 A Cool 48 Hours In Park City, Utah – It's a Lovely Life! 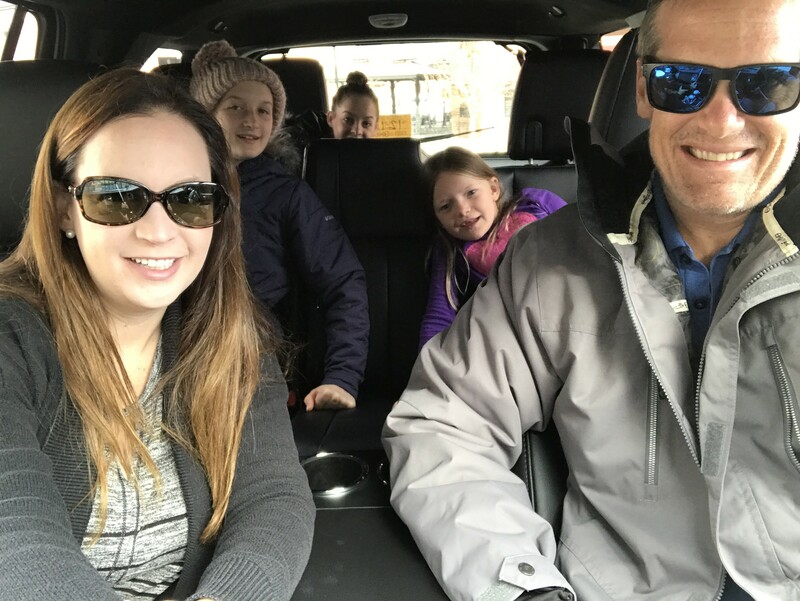 Special thanks to our friends at Wyndham Rewards for sponsoring this post and our family adventure at Wyndham Park City, UT. 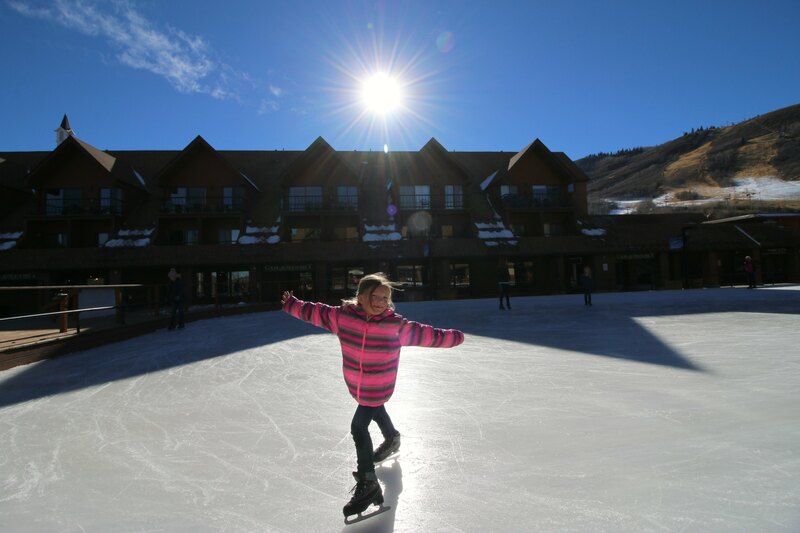 Park City, Utah is one of our favorite getaways. We first visited over a year ago towards the end of summer when everything was a lush green paradise. Even then, everyone told us we had to go back to experience it in all its glory once it had a sprinkling of snow. I couldn’t imagine it being any more beautiful until we actually arrived this time. 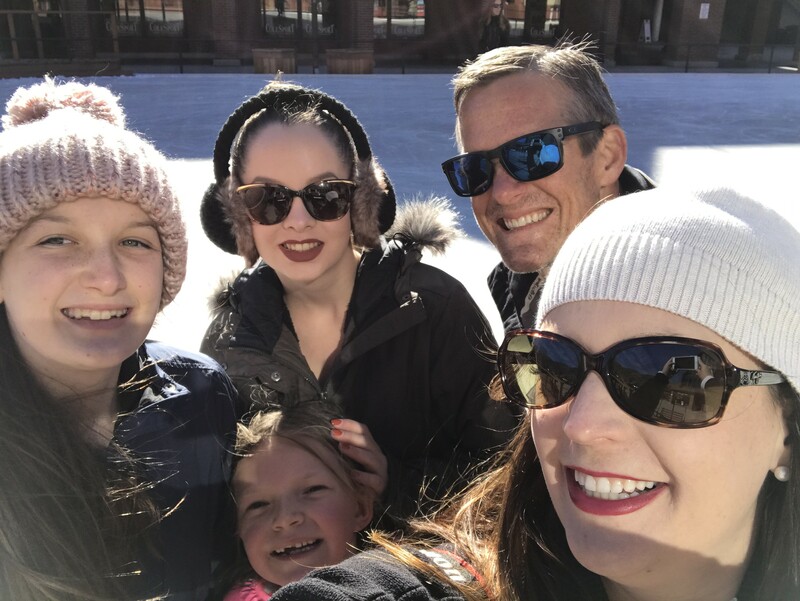 I had no idea just how magical it is for families to visit Park City, Utah once the air gets cold until we experienced it ourselves! 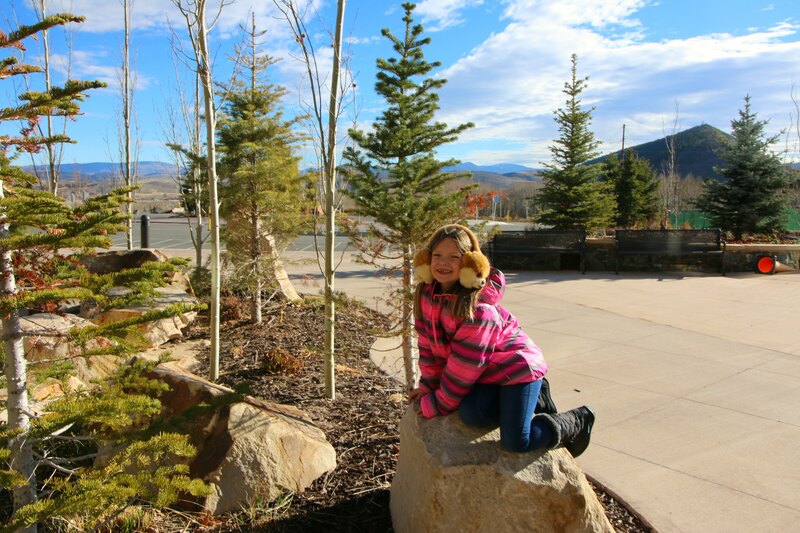 We spent a lovely 48 hours exploring the area and relaxing at Wyndham Park City. 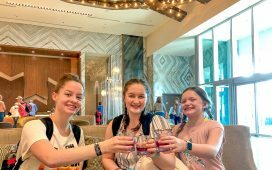 We used our Wyndham Rewards points to easily book our trip and it couldn’t have been a better location for us to stay at with all the fun things we did. 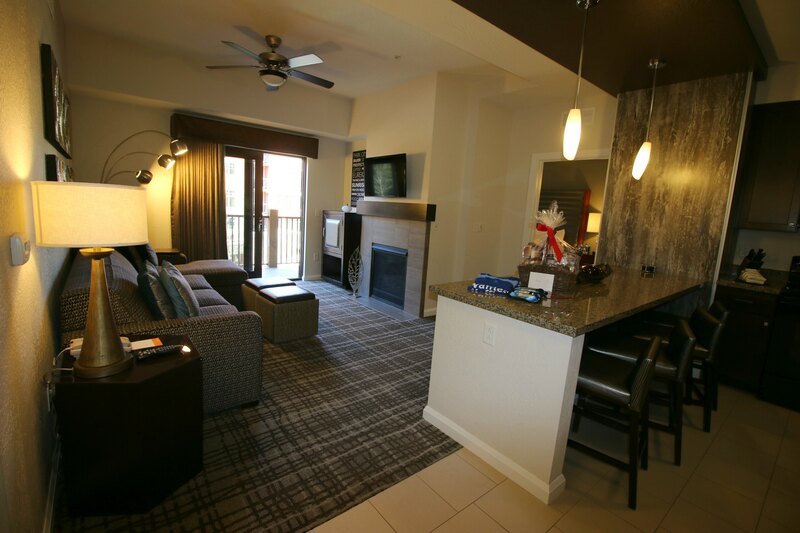 As soon as we arrived at Wyndham Park City, we got settled in our room. 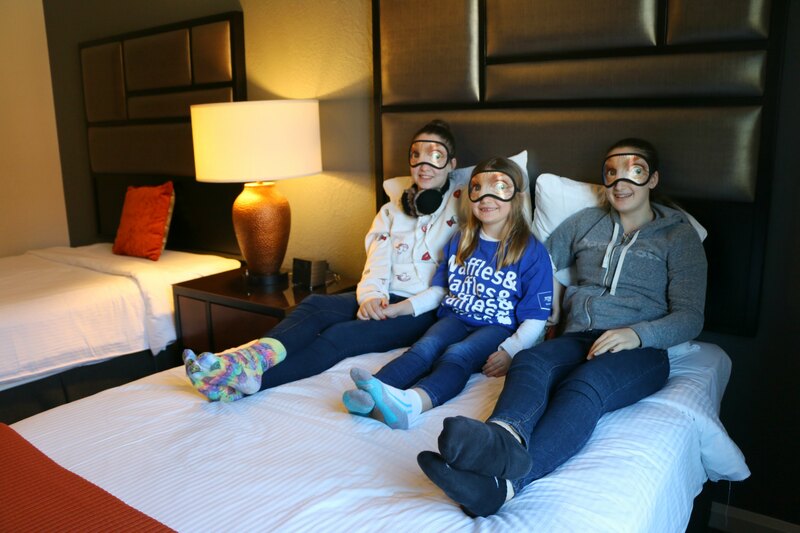 The girls loved the welcome gifts, especially the sleep masks! These were a crack up! 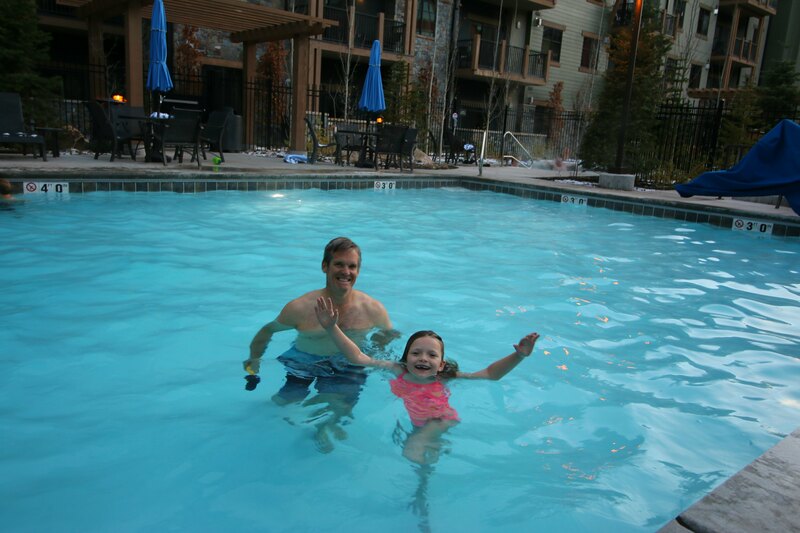 Emmy could hardly control her excitement when she saw there was snow on the ground and a pool, so she talked Pete into going for a swim in below-freezing temperatures! Then she warmed up by the fire pit! 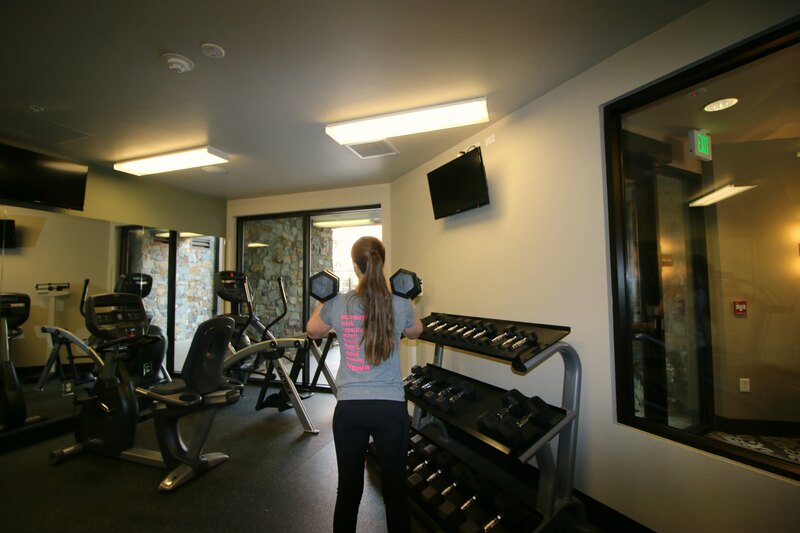 Ash got in a quick workout while we were by the pool. Afterwards, everyone got ready for dinner and we headed down to Main Street to eat. 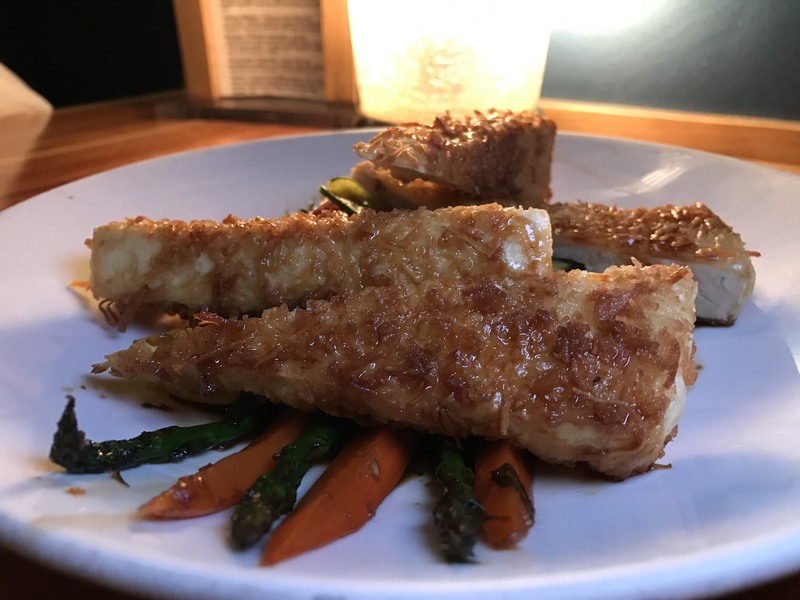 It is about a ten-minute drive from the hotel. 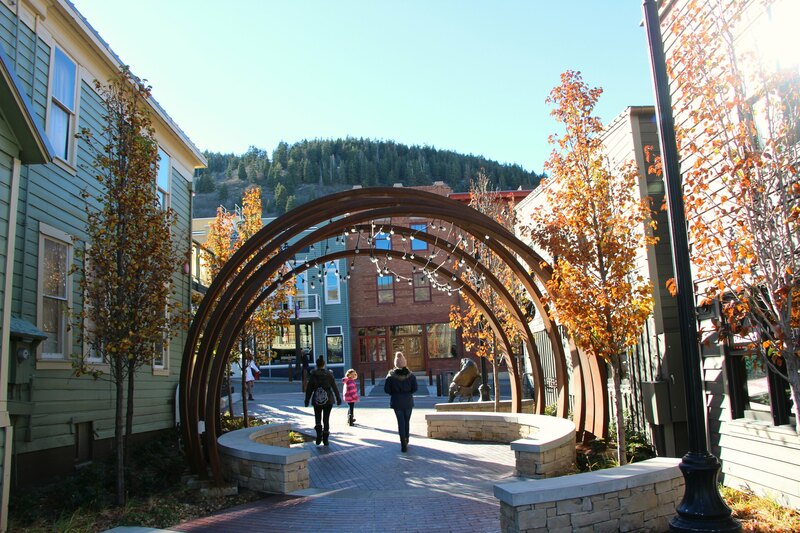 I absolutely love Main Street Park City because it is drenched in history. You feel like you have stepped back in time when you walk through the doors to the historic buildings that date back to the turn of the century. Thankfully, there are many modern restaurants to choose from. We also booked our rental car through our Wyndham Rewards account and that saved us 30%! 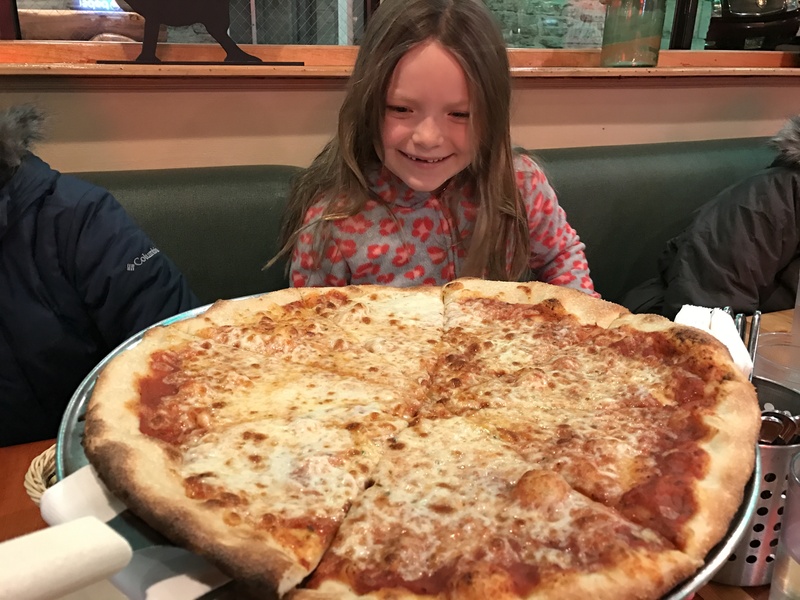 Dinner was pizza and pasta and Emmy was very impressed by the huge pizza! We had every intention of walking up and down Main Street after dinner, but Emmy fell asleep at dinner after she ate a couple slices of pizza. So, we called it a night, and we headed back for an early bedtime. Bright and early the next morning, we were ready to pack in a much fun as we could, and boy, did we ever! Pete and Emmy headed down to the lobby for coffee and a little rock climbing. 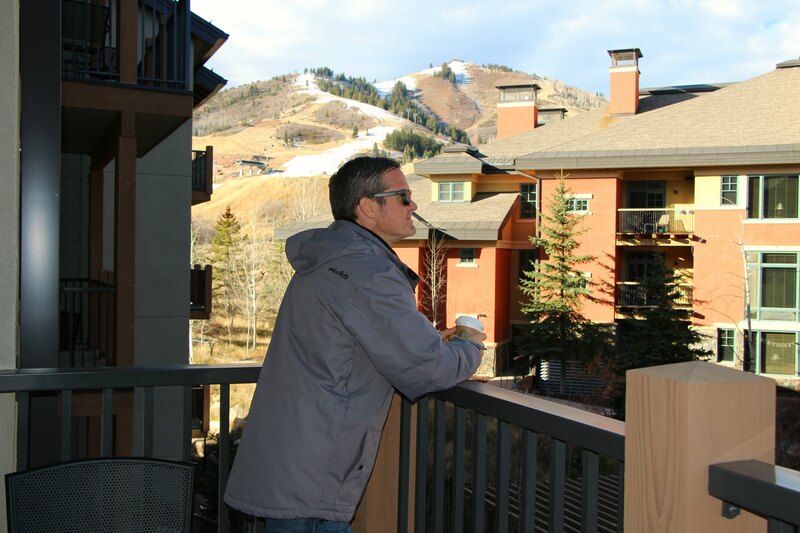 Then they brought it back upstairs where Pete and I enjoyed our coffee on our balcony with a view of snow-capped mountains! Our coffee was quickly consumed, and then we were on the road! 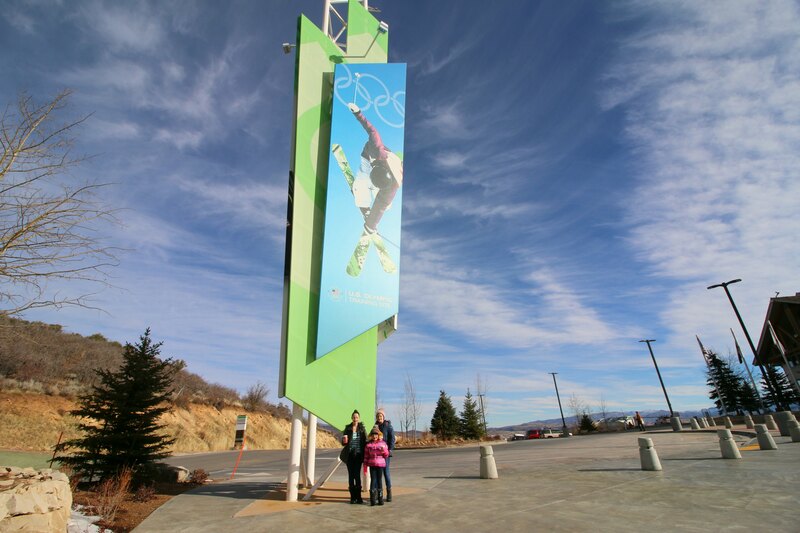 We started the day at the Utah Olympic Park. 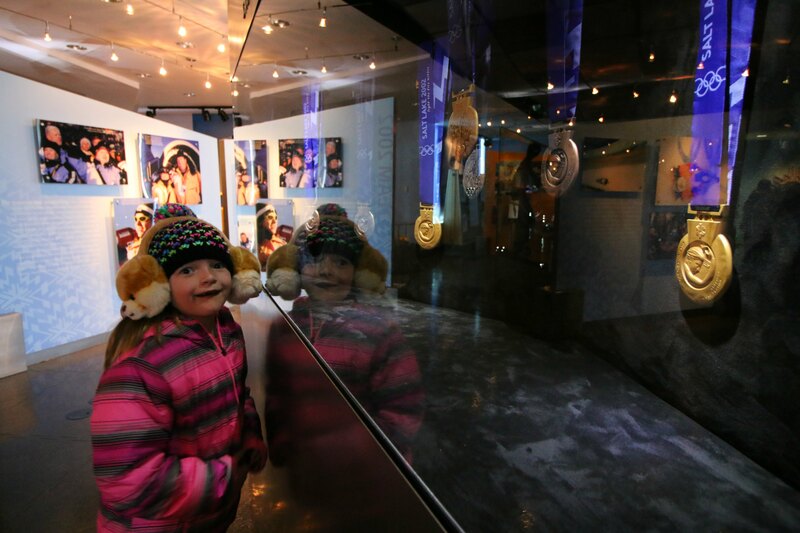 It was built for the 2002 Olympic Games, and it now is a training center. 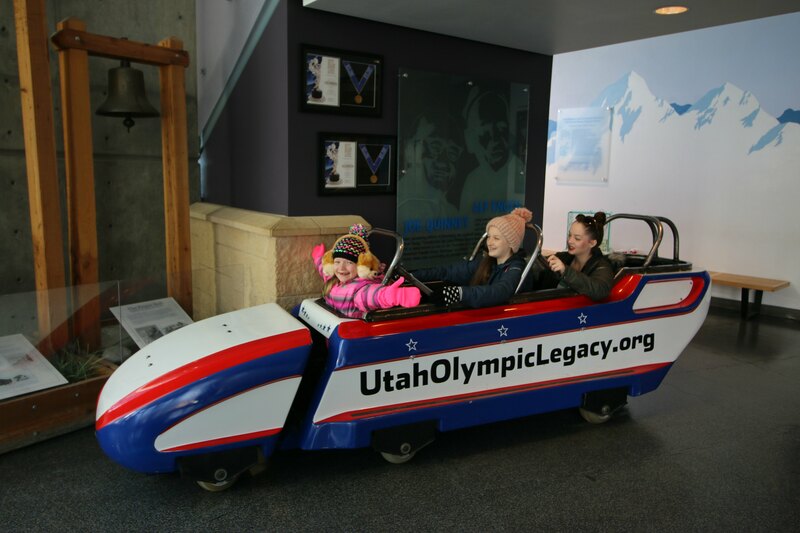 It also has two museums, the Alf Engen Ski Museum and Eccles Salt Lake 2002 Olympic Winter Games Museum. 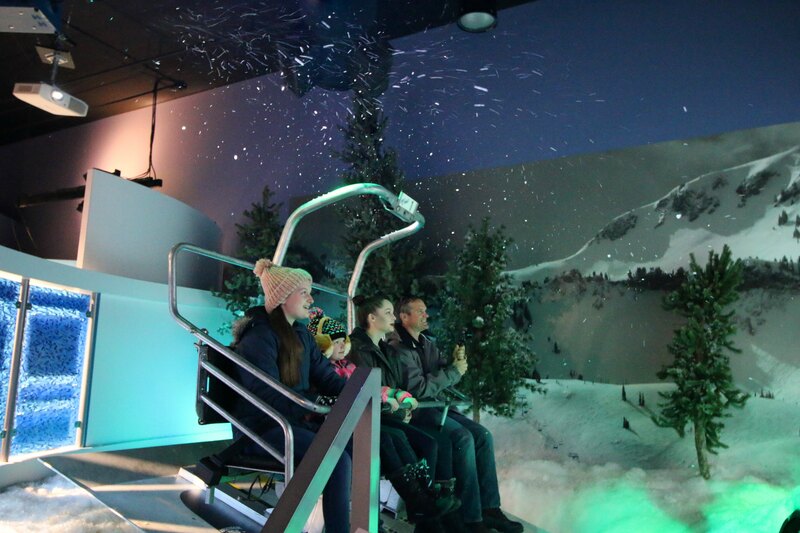 Inside the museums are some really fun rides too, where you can have snow flurries fall while you are skiing down a virtual mountain. 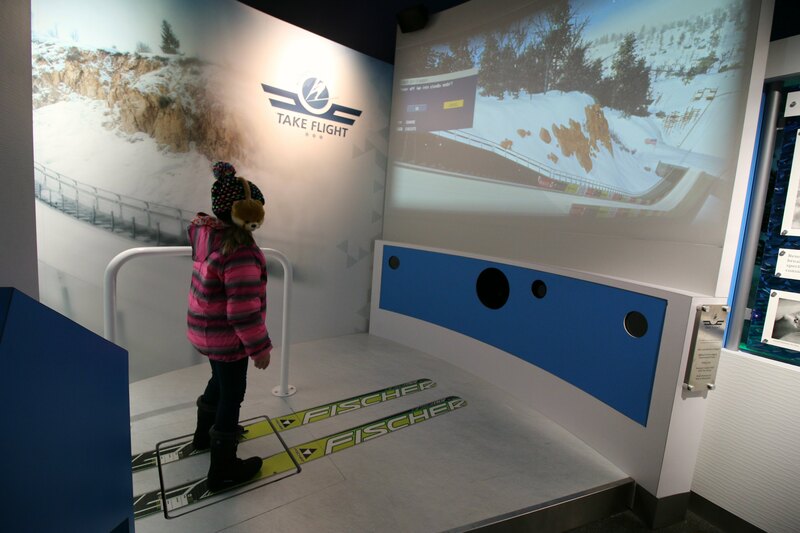 Then you can virtually ski some long jumps! 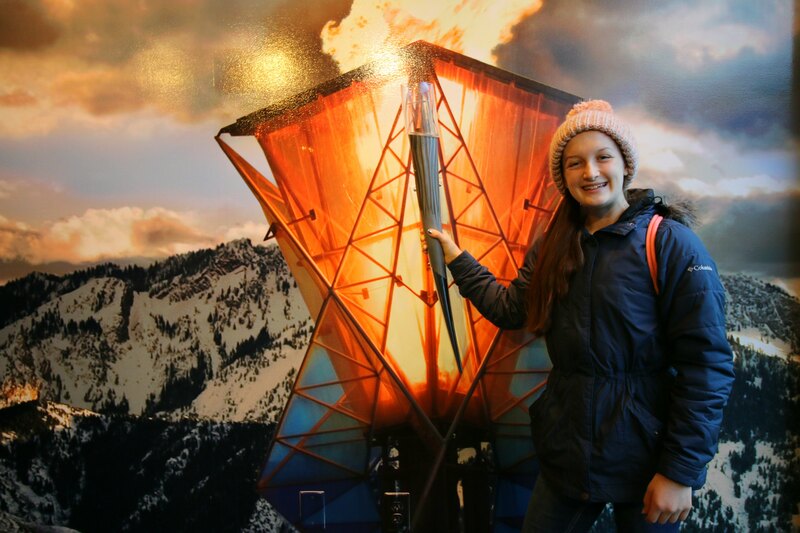 You can also wander around the park and walk right up to the Olympic runs. If you get really lucky, you will even find a huge mountainside with fresh fluffy snow to play in! We spent a good 2 and a half hours there, and we could have spent another 2 hours easily if not more! There are guided tours through the museums and the grounds that would have also been a fun addition if we were there for a bit longer. However, we were getting hungry so we headed out to pick up pizza for lunch on Main Street. We just love it there. We brought it back to our suite to eat. It was so nice having a full kitchen to use! We also really liked that Pete and I had a bedroom and the girls had their own bedroom to share, and a wonderful family room for us all to hang out in. After lunch, we went ice skating! Oh my, this was so much fun! The weather was cool enough for cozy coats, but not so cold that we couldn’t enjoy a day outdoors! 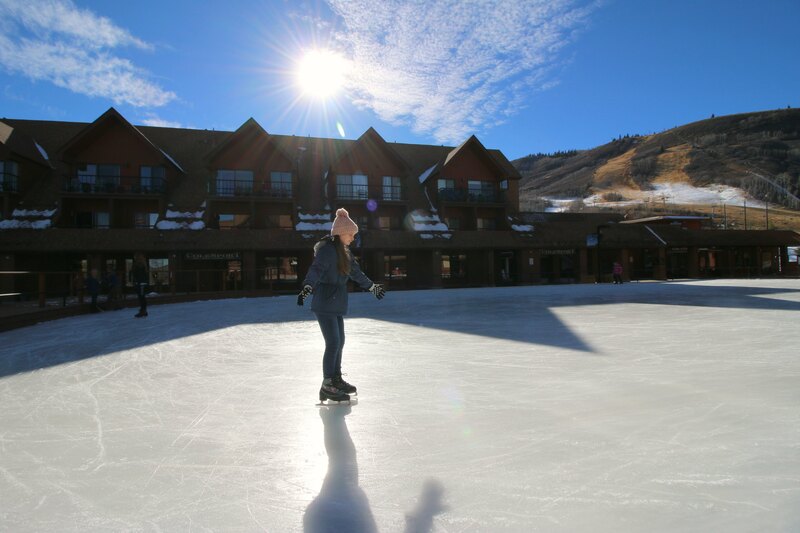 After ice skating the afternoon away, we spent some time back at Wyndham Park City to rest up before our big night! I love how central the hotel is to all the activities. 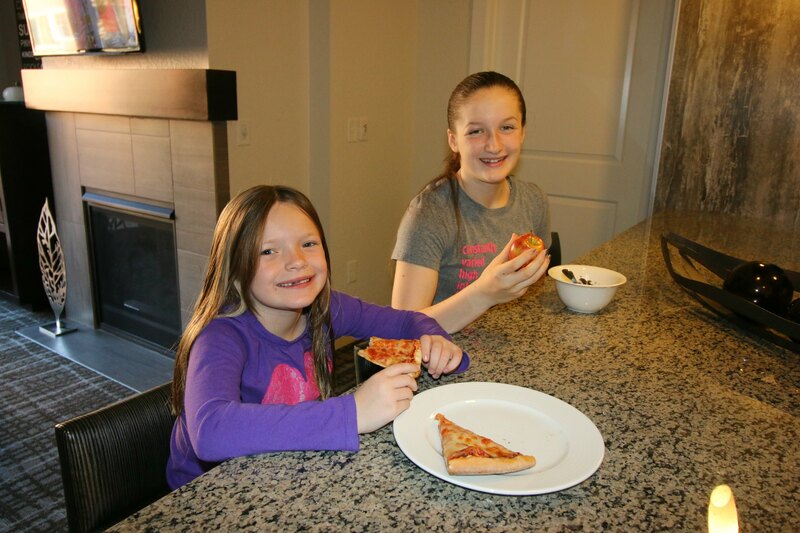 When traveling with kids, it is nice to have a “home” to easily go back to during your vacation adventure. 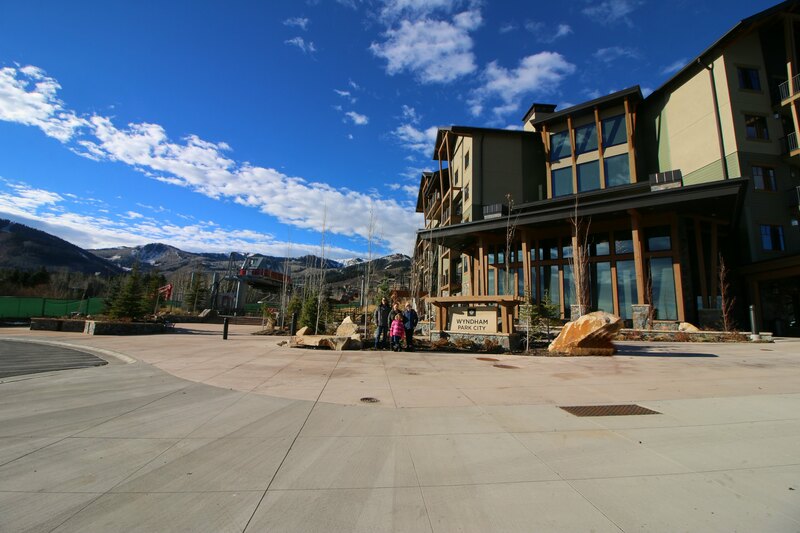 We spent some time out front of the hotel where the ski lift is. 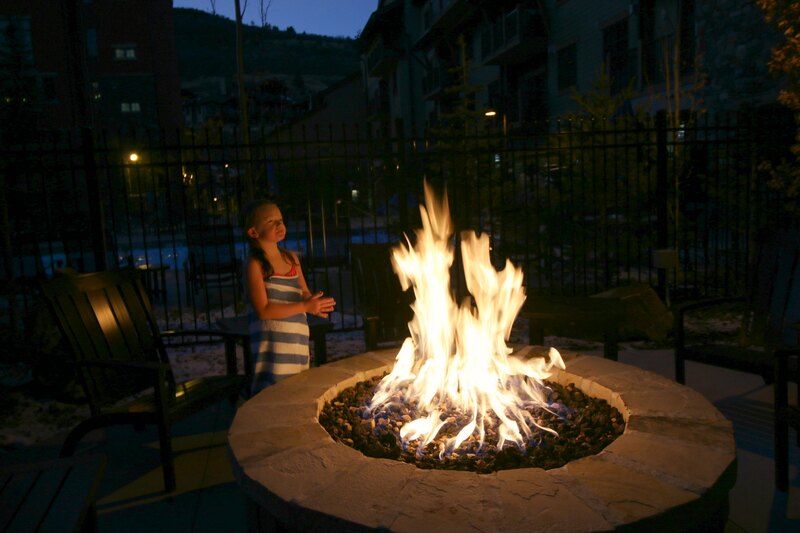 You can ski right out of the hotel and there is a really nice fire pit to warm up at! 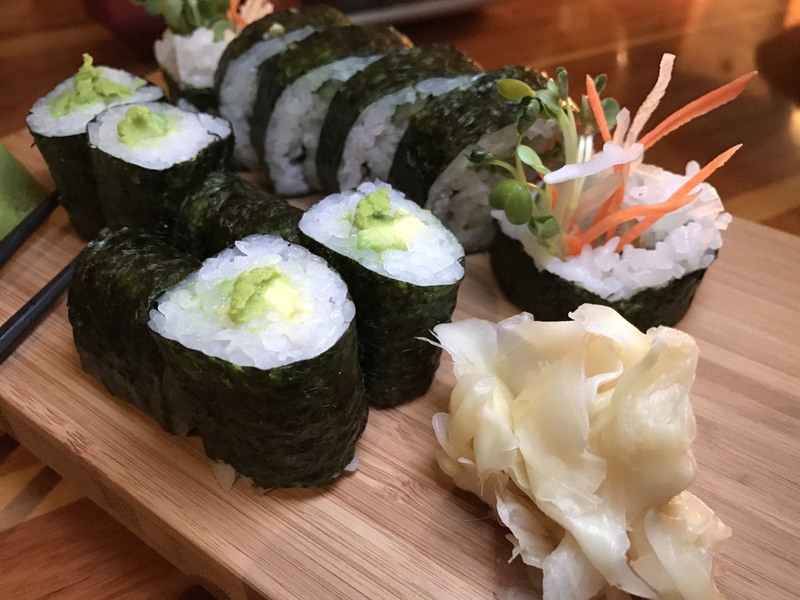 For dinner, we had a meal of sushi and Japanese food on Main Street before we went on a ghost tour! 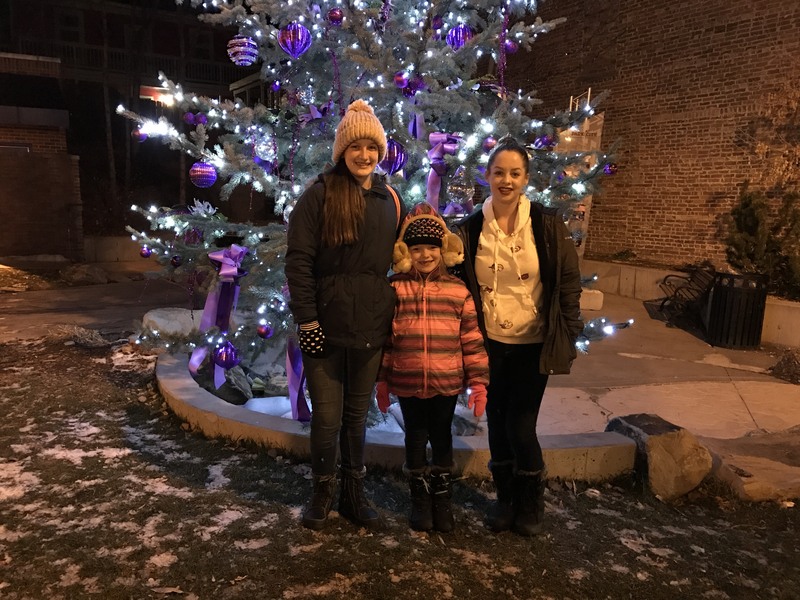 We loved all the Christmas decorations throughout the town! Ha! 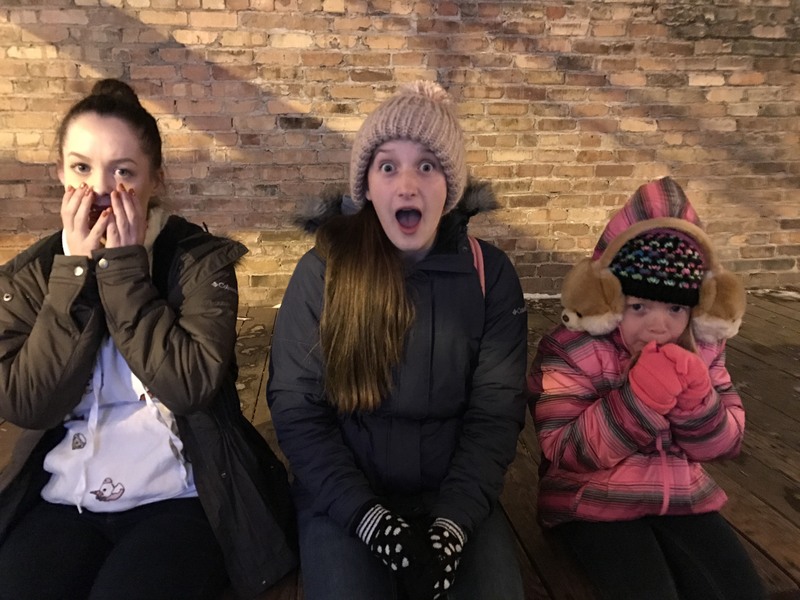 The girls were a little scared during the ghost tour! This is an awesome tour that marries history with fun ghost stories! The next morning it was time to pack up and head home. 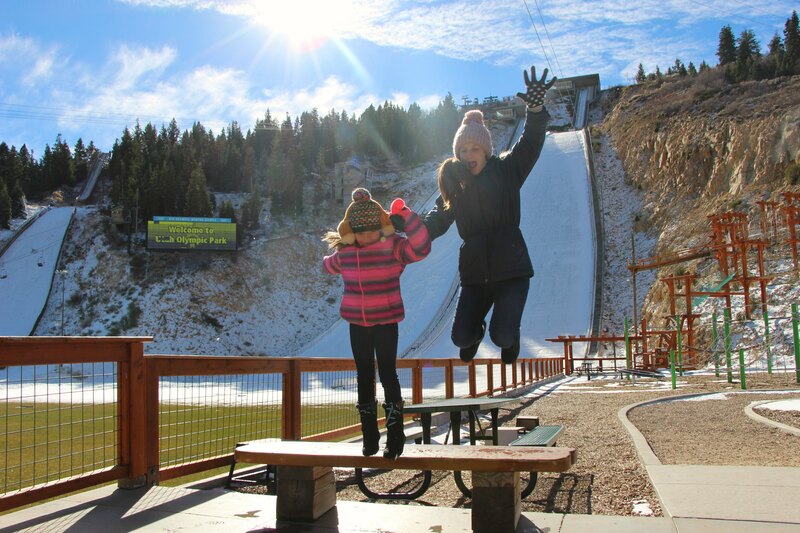 We had so much fun over those wonderful days in Park City thanks to Wyndham Rewards and we can’t wait to come back again! Be sure to download the Wyndham Rewards mobile app for easy access to your account information, status updates, hands-free bookings and more. 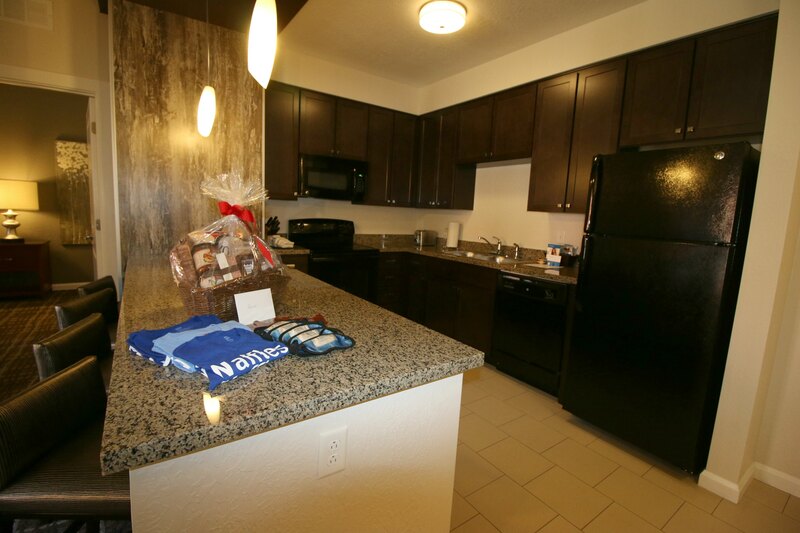 Learn More about Wyndham Rewards here. 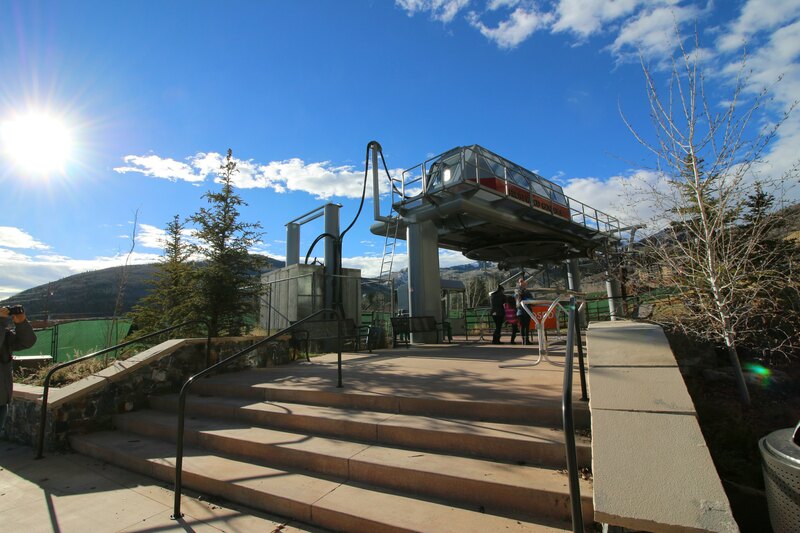 Have you been to Park City, Utah before? 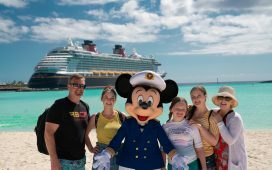 Your family always goes on the best trips! We’ve never gone to Park City, but I think that needs to change. It looks like so much fun. Utah is a gorgeous state. 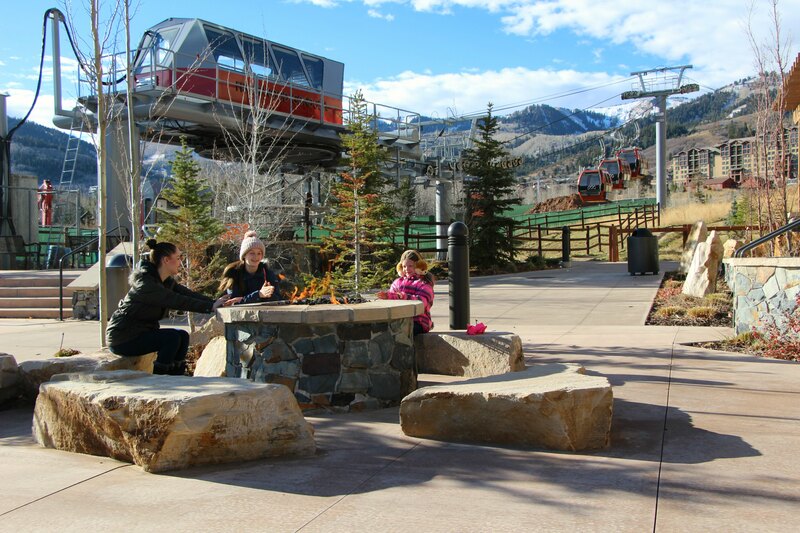 I would love to take a trip to Park City with the family. I love the area, and I love how relaxing it seems. Nice. I love Park City! It’s just gorgeous. We’ve only ever driven through a couple time though. We really need to go stay. I would love to check out Park City. It looks like a great time. We will have to check it for a vacation. The family loves to ski. 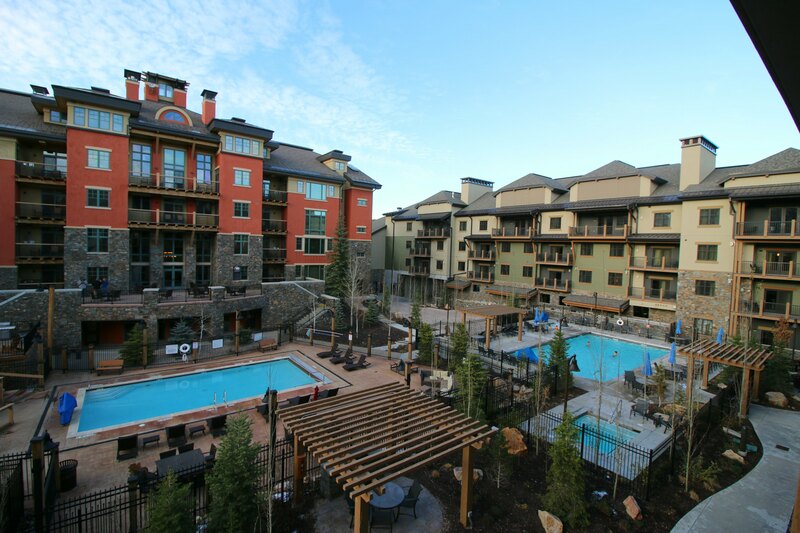 I have never been to Park City before, it looks really amazing though. Like a winter wonderland getaway. Looks like a lot of fun, I would love to visit. What a beautiful city! I’ve never been there, I will bring my family there soon. I’ve never been to Utah, but I’m sold! This looks like a great little place to just get away for a bit and enjoy some family time. That pizza looks delicious! 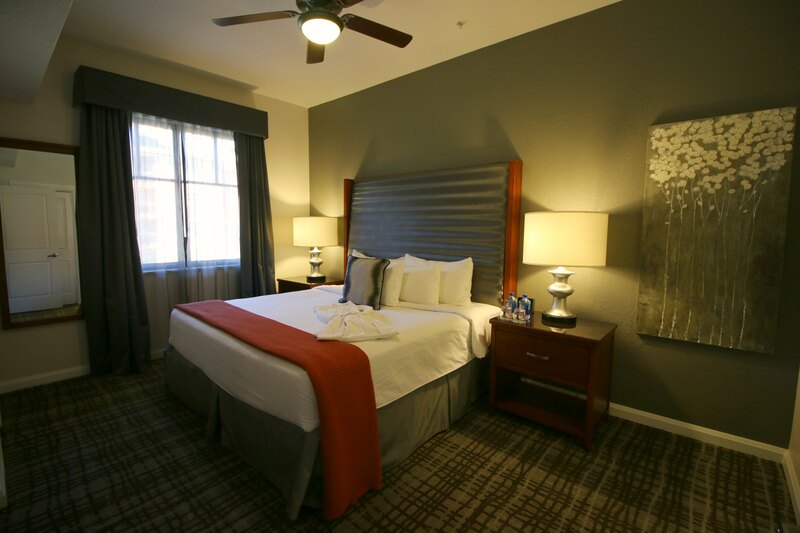 We use Wyndham Rewards all the time, they have great facilities. I’ve always wanted to visit Utah, it looks gorgeous. 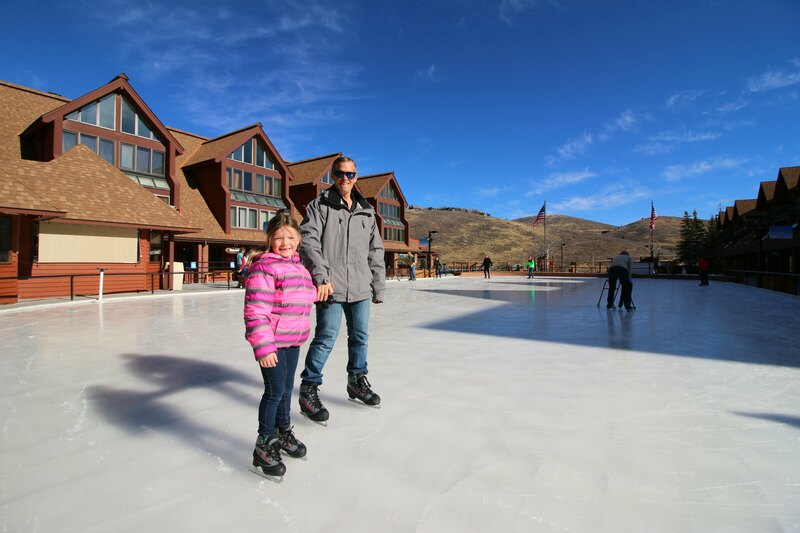 I never had Park City on my radar as a family travel destination, but now I’d love to go! 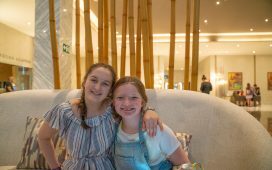 The resort is gorgeous and there seems like so many fun family friendly things to do! You guys look like you are always going on amazing trips! 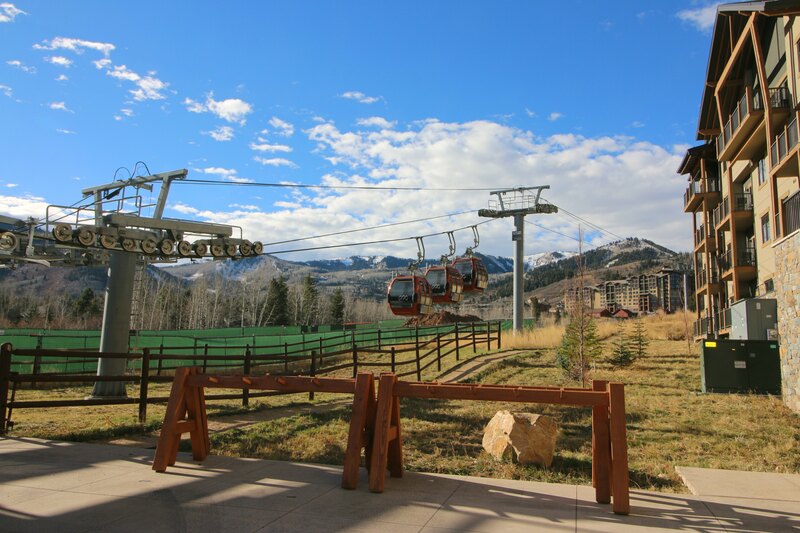 We’ve never gone to Park City, but it looks like an amazing place! That looks like a lot of fun. This would be a great place to take a family vacation. My youngest loves Winter! That was such a fun trip. I have never been to Utah, but I would love to go one day. That looks so much fun! Looks like a great place to spend the holidays! you guy go some of the best places. everything looks so much fun and that food looks to die for. Woo! 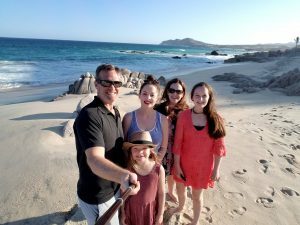 I am ready for a getaway with my family, this looks like a great time. I love all your photos! Looks like you had a really great time! Perfect destination for the holidays! Wow you guys must of had a blast! 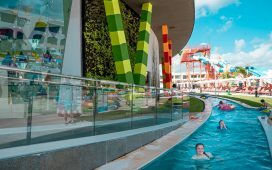 This looks like such a great resort! I love all of your pictures too – so much fun! After reading your post and seeing all your gorgeous pics we are totally ready to visit park city!! Thanks for the inspiration! 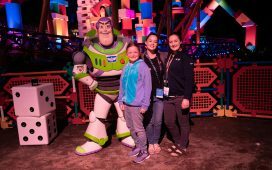 Looks like you and your family had tons of fun! 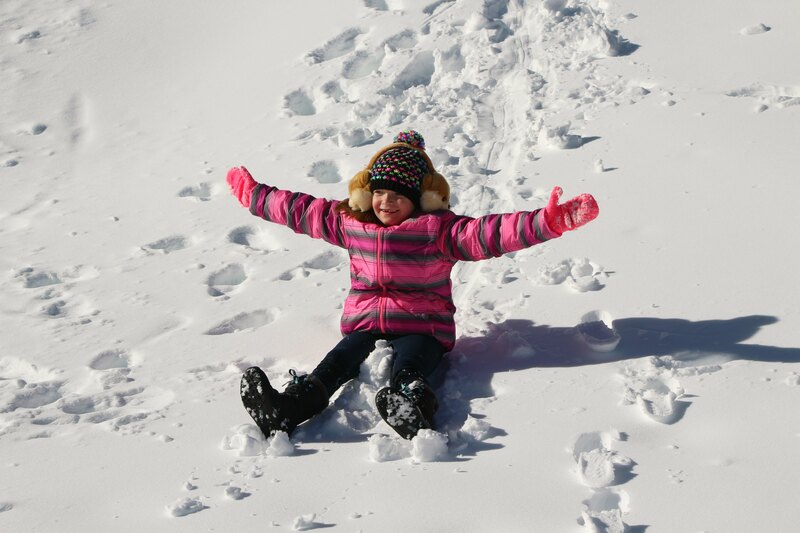 I love the photo of E playing in the snow. 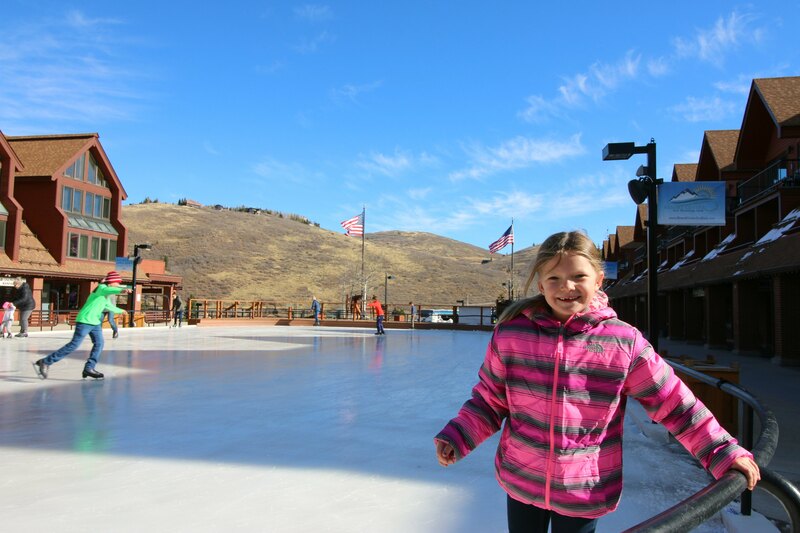 I would love to go to Park City with my family. 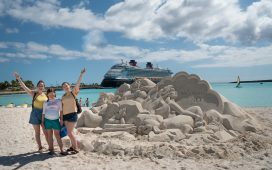 It looks like there are a lot of fun things to do and your hotel looks amazing. That would be fun to wander arounda nd dream of winning the medals, lol. Looks like agreat trip was had by all. That looks like a lot of fun. I know my family would enjoy it there. Sounds like you all had a great time too! 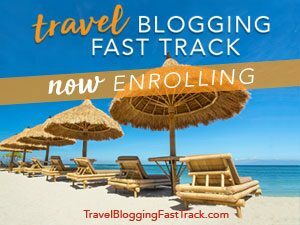 Wow your trip looks so amazing. I love your photos! My family and I are dying to get to Park City! I’ve got to make this happy for our bucket list in 2017! Between the pool and that pizza I think I am in love. This looks like the perfect family getaway. 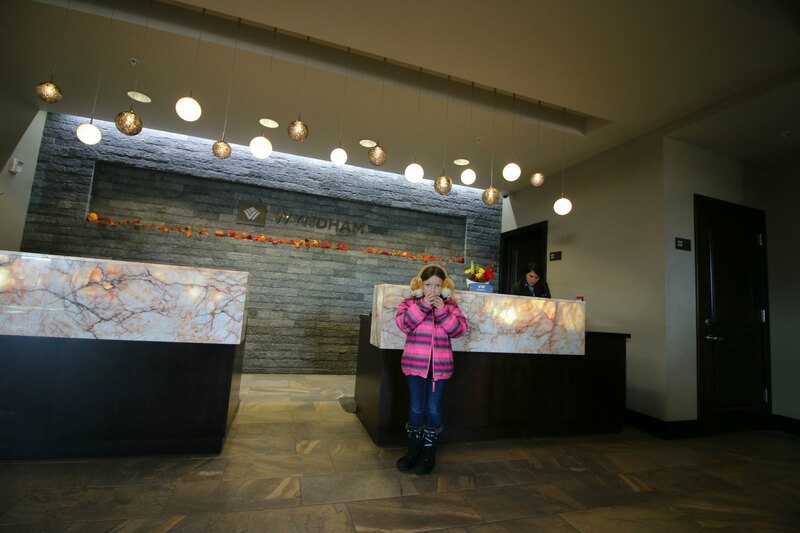 I love Wyndams great hotels for sure i have stay at a few and never disappointed! I loved your recap the room look amazing and cute masks! I love the idea of switching from the pool to the fire and back. What an awesome place to visit! You can swim and ice skate all in the same day? My kids would be thrilled. 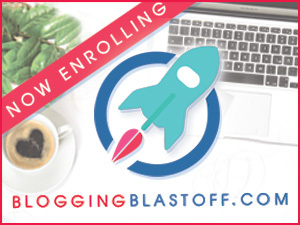 This looks like such a total blast! Perfect way to spend some cooler weather for sure.